At the end of August, Jeff and I took a day off to play with our friends Jim and Tess. 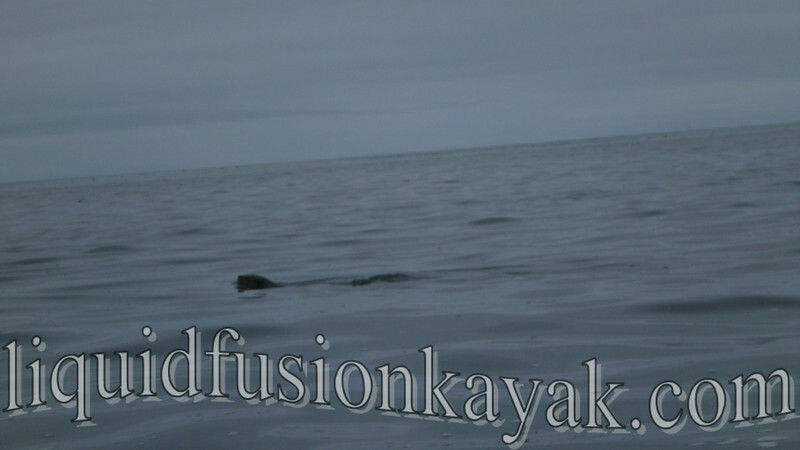 We sea kayaked a stretch of the Mendocino Coast that we call Area 10-13. 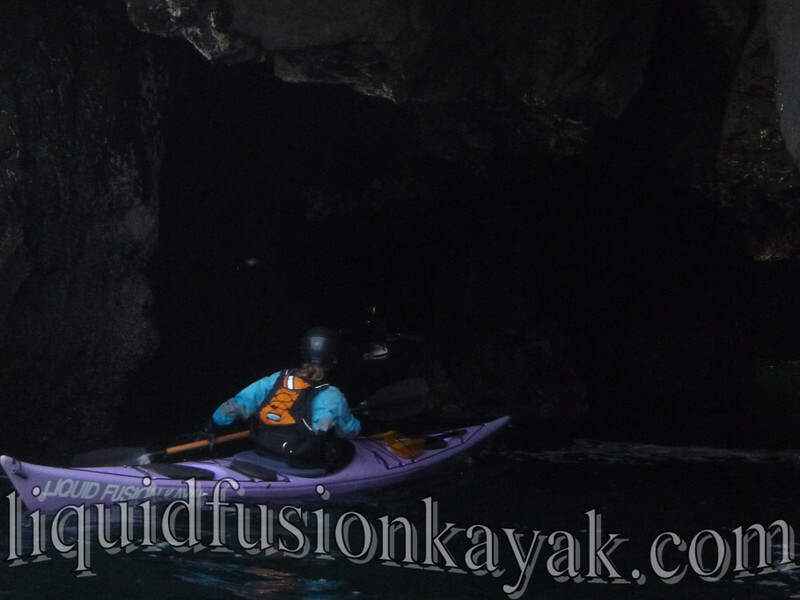 Area 10-13 has some of the coolest sea caves to kayak in on the Mendocino Coast. 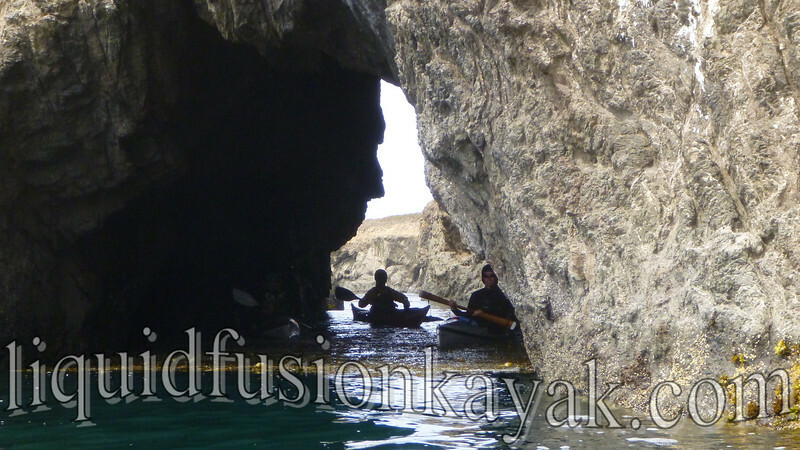 Many of the sea caves are tunnels that cut through the headlands. Jeff traveling under headlands instead of around them. 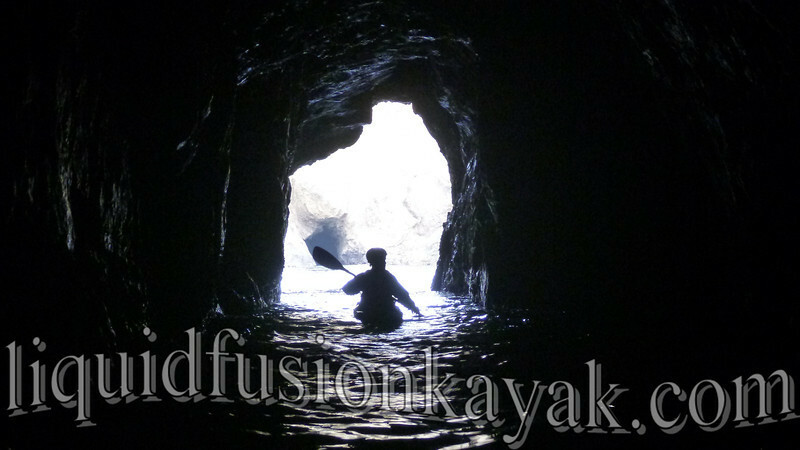 Multiple opens make for interesting paddling. One of our favorites is called Lex's Labyrinth. Some of the caves have play features. This cave has a fun wash-over. 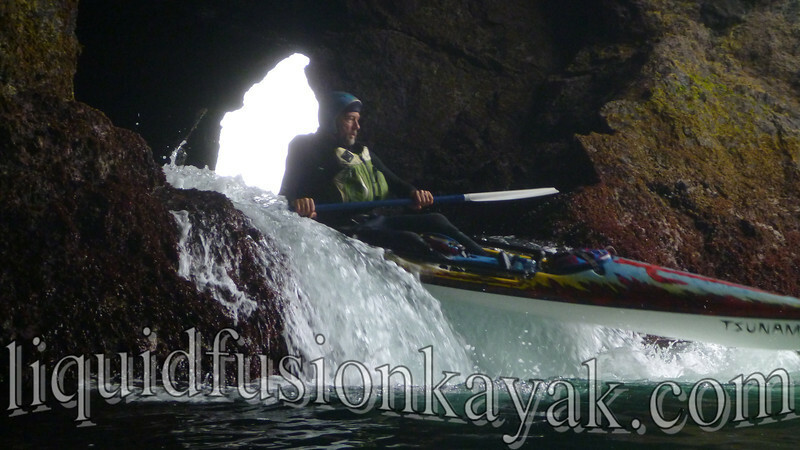 Jim Kakuk styles it in his Tsunami X-15. This arch leads to a hidden cove. The gang returns from a lunch break in the hidden cove. 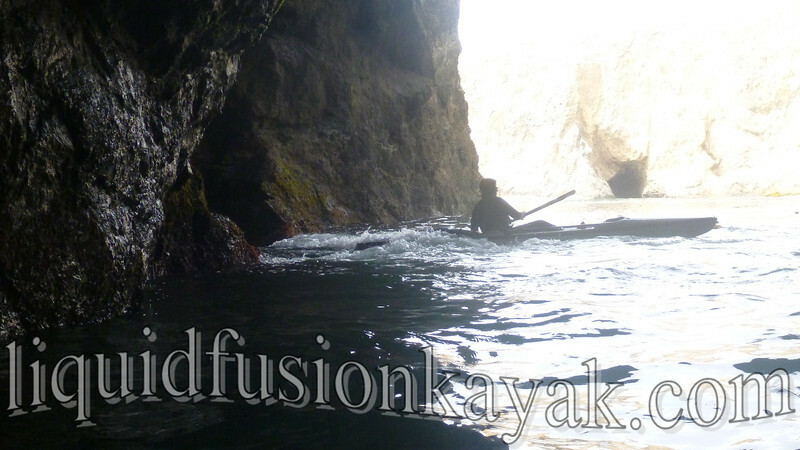 But the day wasn't all about kayaking through spectacular sea caves, we enjoyed each other's company, a beautiful day, and exceptional wildlife sightings- including porpoises and river otters. A river otter hunting for lunch.